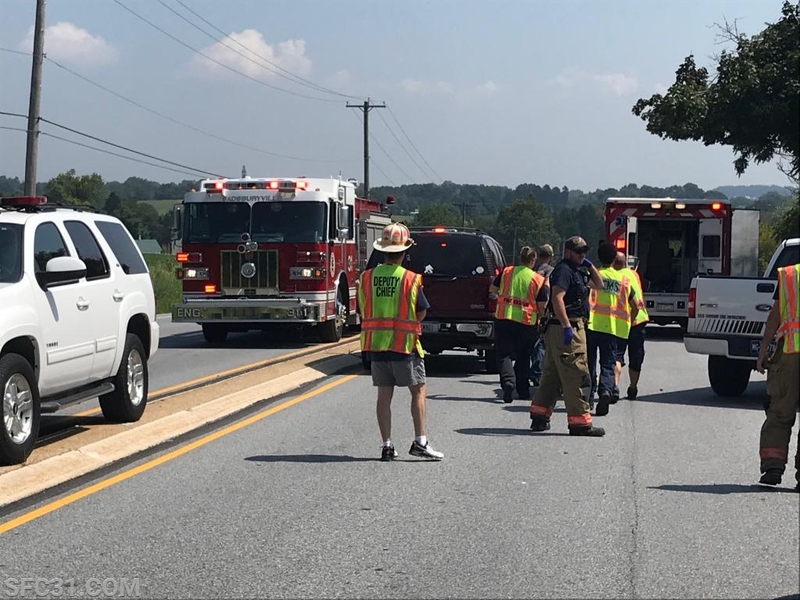 On Tuesday August 28th, 2018 at 12:36 the Sadsburyville Fire Company, Keystone Valley EMS and Medic 93 were dispatched to the 3200 block of East Lincoln Highway in Sadsbury Township for an auto accident with a pedestrian struck. 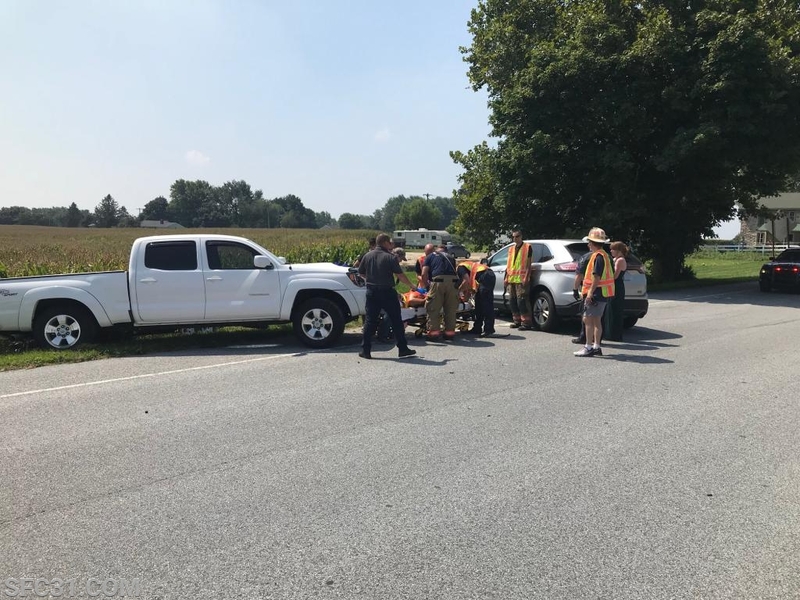 Initial reports indicated a subject was changing a tire on the side of the road and was struck by another car. Within minutes Deputy 31, Engine 31-1 and Squad 31 were all responding. 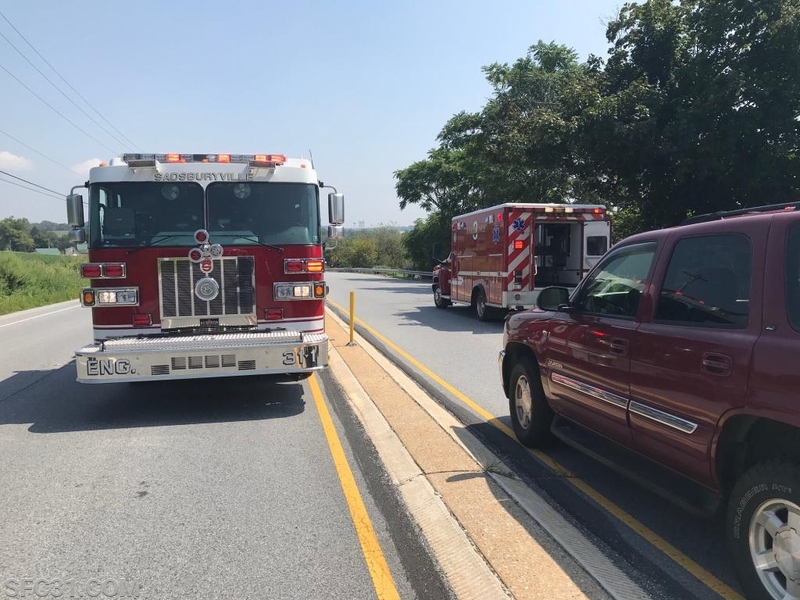 Arriving at 12:42, just 6 minutes after being dispatched with an all volunteer crew, Engine 31-1 found a 2 vehicle accident with at least 1 patient. 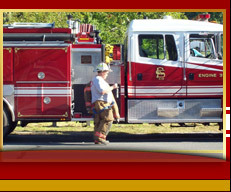 Additional fire police were requested to shut down the road for the duration of the incident. 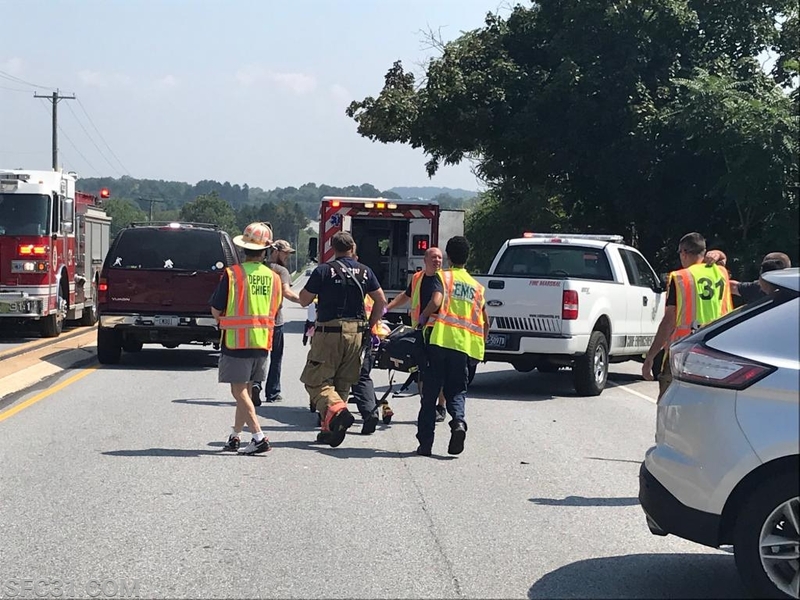 Crews began assisting EMS with patient care and packaging. Deputy Chief Brecht held the Lincoln Highway Command. 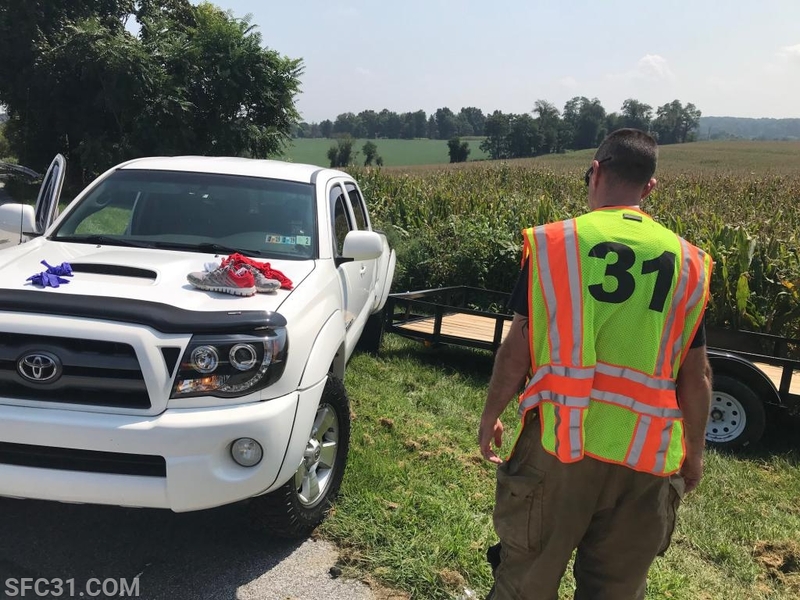 Sadsbury Township Police Department were on scene to investigate the accident. 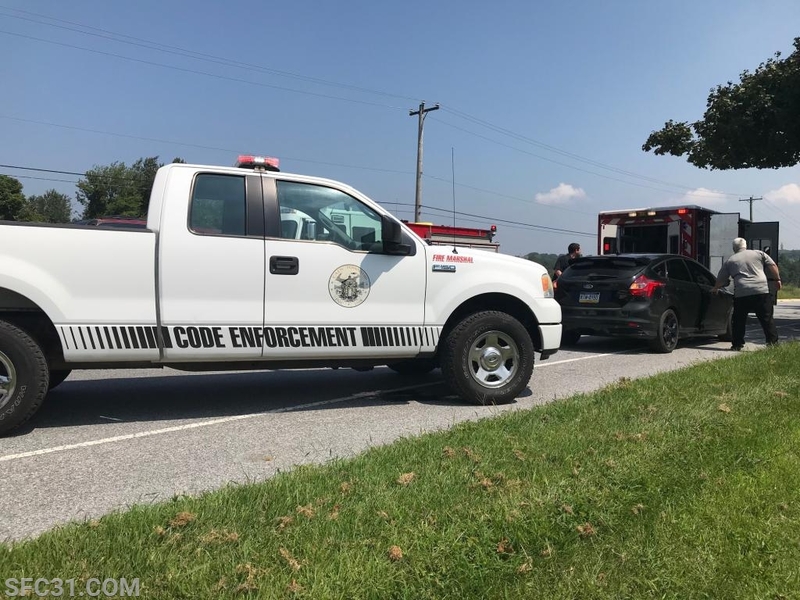 Caln Township Codes Enforcement on scene of a two vehicle accident in Sadsbury Township. 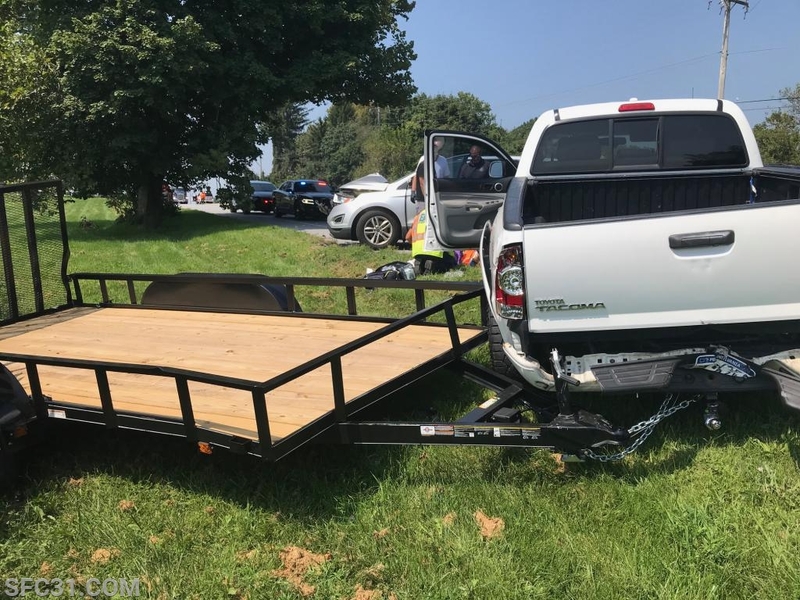 A truck pulling a trailer was involved in the accident. Engine 31-1 and Ambulance 08-2. The patient is being transferred to the ambulance for transport to a local hospital. Captain McCarthy surveys the accident scene. Deputy Chief Brecht oversees operations. A view of the accident scene from the westbound lanes. 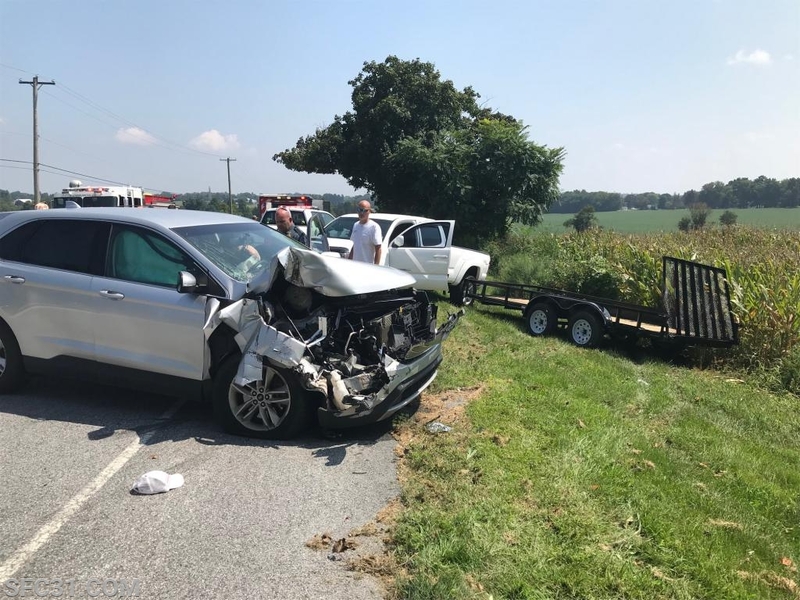 The second vehicle involved in the 2 vehicle accident.